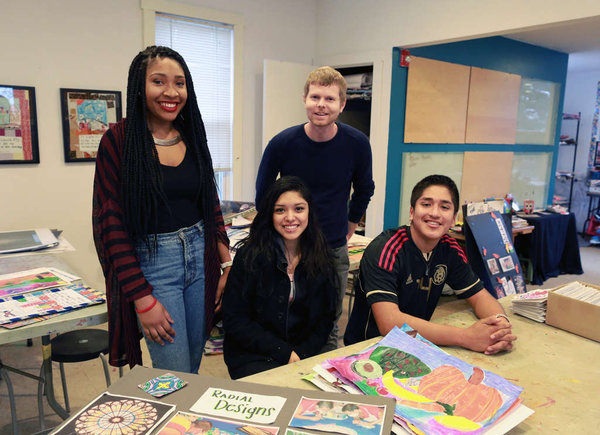 When students at Camden's UrbanPromise Academy high school learned they would have the chance to design Christmas ornaments to be displayed on New Jersey's tree in Washington, they wanted to reflect the range of cultures in the city and the state. So they drew religious symbols, as well as pictures to represent racial diversity, peace, and harmony, such as a world map and two hands holding. "I think it's an honor," said Chinyere Nwanosike, 16, one of two dozen students who created an ornament. "We wanted them to turn out as nice as we could." The 24 ornaments will adorn one of 56 smaller trees representing U.S. states and territories that will surround the national Christmas tree in President's Park near the White House. After the tree-lighting ceremony, which is set for next Thursday, visitors from all over the world will be able to see the students' work. The state's first lady, Mary Pat Christie, selected the school for the project earlier this year after seeing some of the students' earlier artwork, said art teacher Robert Kelleher. "These beautiful stained glass ornaments crafted by UrbanPromise Academy students truly demonstrate the spirit of hope and promise they have for the future," Mary Pat Christie said in a statement. "The governor and I are so proud these works of art, which reflect the Garden State's cultural diversity and spirituality, will be showcased on the national stage this holiday season." 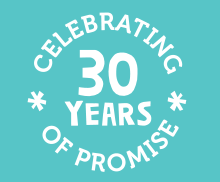 UrbanPromise Academy, a private Christian school in East Camden, was founded in 1997 and serves about 50 students. Kelleher said his 10th- and 12th-grade students were inspired by Marc Chagall's Peace Window, a stained-glass artwork on display at U.N. headquarters in New York, which they studied this year. They decided to design their ornaments in a similar stained-glass style and drew their designs first on tissue paper. Students have art class twice a week, and Kelleher said many of them ended up coming in during study hall or their free time to make sure they finished. "They were really motivated to get them just right," he said. The school sent the ornaments out to have the designs transferred to hard plastic orbs. Once they got the ornaments back, the students painted over them with a clear topcoat to enhance the shine. "They actually turned out pretty well," said Jennifer Lopez, 16, who designed an ornament featuring a Japanese symbol for peace. "They look like glass." UrbanPromise welcomes new student into our community! At the center of the jeering mob was a sweet and frightened little girl named Aisiah (pronounced Ai-asia). She stood with her sweater covering her head, trying to disappear, wishing her mom was there or at least a caring teacher who could stop the girls. But no one did. I wish I could say that was a rare occasion for Aisiah. Sadly, being ridiculed and bullied was a daily ritual at her public school, just a few blocks from UrbanPromise. Why? Well, Aisiah looks different than the other children. She has a rare skin disorder called vitiligo—a condition that causes depigmentation—and in her case, severe reaction to sunlight. Aisiah’s disease was caused by trauma to her skin after she had an untreated accident at her school, and was exacerbated by misdiagnosis. Despite her mom doing training in the clasroom and enlisting help from the “anti-bullying group,” being jeered at was part of Aisiah’s daily routine. To make matters worse, when the other children were released to play outside, she had to sit next to a security guard in a darkened hallway to avoid the light. The nurse was familiar with UrbanPromise, and she promised Aisiah’s mom it was a different kind of place—a place that encouraged respect, kindness, love, and acceptance. 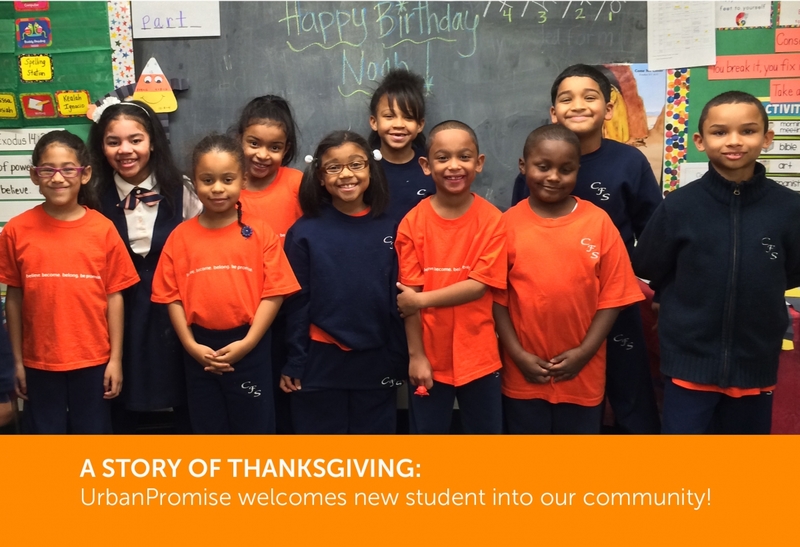 Thanks to your donations, a presidential partnership was made available and Aisiah enrolled a month ago at the UrbanPromise’s CamdenForward School! Her first day at her new school was memorable. Our students gave her a royal welcome. The upper class students lined up to hug her, her 2nd grade classmates competed to sit beside her, and when asked if anyone wanted to skip recess to keep Aisiah company, every child in the class raised their hand to stay inside! Needless to say, Aisiah was surprised and delighted, and none of the adults in the room had a dry eye, especially Aisiah’s mom. 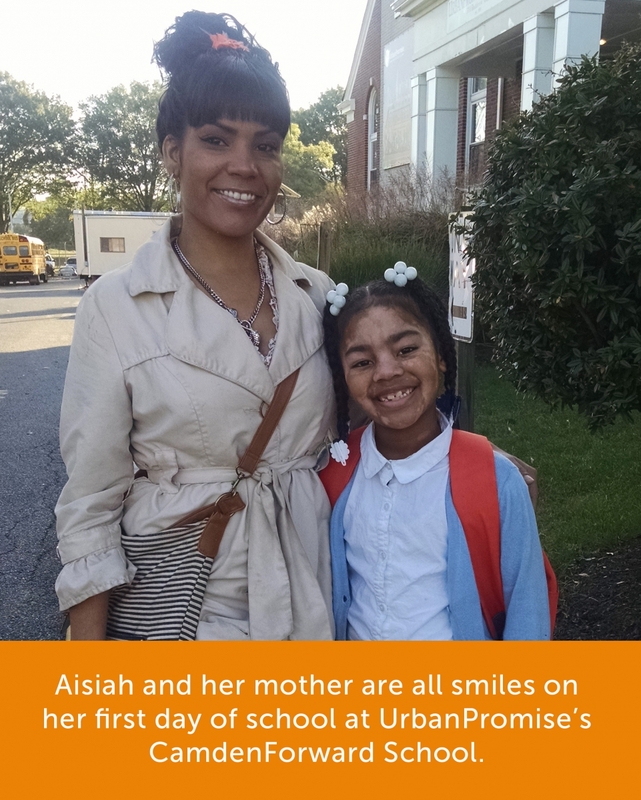 Aisiah’s mom is now a volunteer at the UrbanPromise's new Community Food Co-Op and a constant and helpful presence in the school and cafeteria. Gratitude….it’s a wonderful response to the way God moves in our lives. But Aisiah’s story will get even better. In just a few days, she and her family will celebrate Thanksgiving with the other UrbanPromise families. For the first time little Aisiah will experience an UrbanPromise Thanksgiving dinner and begin to understand the foundation of this community of sharing, serving, and praying. Thanksgiving at UrbanPromise is not just about eating; it’s about building community for children like Aisiah and her family. 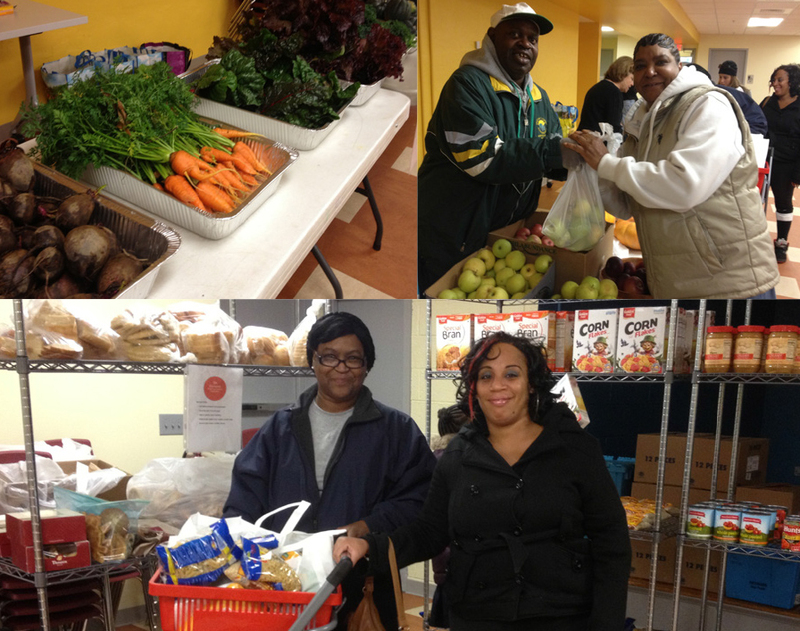 UrbanPromise will serve over 1,000 Thanksgiving meals to our families throughout the city of Camden. Each meal costs about $5.00 to prepare and serve; we need to raise the $5,000 to make this possible. I hope I can count on you to help again this year. PS. Typically I make a point of changing a child’s name and identifying facts to protect the privacy of the child and family. However, Aisiah’s mother wants everyone to know about the effects of bullying and how brave her young daughter is and how grateful they are to be part of the UrbanPromise family now. PPS. Aisiah’s story of bullying is becoming more and more prevalent. We have a waiting list of students who want to come to our school. To help a student, please call our Executive Director, Jodina Hicks, at 856-382-1851 or email jhicks@urbanpromiseusa.org. That didn't stop the 15 volunteers from UrbanPromise, True Covenant Church, and Touch New Jersey from showing up at 7 a.m., filled with anticipation and lots of energy. By 8:30 a.m, people from Camden, Haddonfield, Pennsauken, and Moorestown had the downstairs of our newly renovated Spirit Building ready for opening day of our Community Food Co-Op. After a year of planning, we had a new building, equipment, food, greeters, baggers, food shoppers, health educators-we were ready. In came our first family: a mother and her teenage son, both looking angry, not wanting to engage in conversation or respond to my greeting: “Good morning and welcome! You are our first member family!" My guess was that it was the game face of someone hating that they were there in need, talking to a total stranger who was there to help. Stumbling for the right words, I was stopped when our youngest volunteer (my 5-year-old son) ran around the corner to do "his job." Aghast, I watched as he pelted mother and son in the chest with Reese's Peanut Butter Cups and ran off. To my great relief and amazement, they both immediately broke out into laughter, with the mother sharing "I needed that! This is a hard morning.” With that, the food co-op was underway. Family after family came in, tentative and unsure. 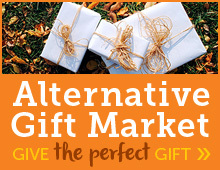 As I spoke with them, the conversations yielded similar results: "This is a co-op? Yes, I want to join. When can I start volunteering? Can I start today? Can my daughter help? Can my whole family help? I absolutely want to give back and help others!” That response was before they went through the maze of cheerful and helpful volunteers including Nurse Becky who chatted up healthy food choices; a Camden brother and sister pair, who along with a chef, shared ways to prepare beets, Swiss chard, and other wonderful food offerings; a student (and her mom) from the UrbanPromise Academy who encouraged people to take books from the sharing library; and members from a Camden church who helped people bag and carry food out to their cars. By the end of the morning, 32 families had signed up as members, and all signed up to volunteer the following week. A total of 1,152 pounds of food was distributed to the 32 families, comprised of 55 adults, 67 children, and 6 senior citizens. All needing food. And all excited to be part of an empowering model for and by the community. Since that cold and rainy Saturday a few weeks ago, the food co-op has been open for a total of three days and the members shared their first monthly communal meal together this past Friday night. We are excited to bring such an important resource to the community and we hope that you will partner with us. Consider donating an item or two from our wish list below or make a financial gift to the food co-op to help us supplement donated food. I will be sure to keep you updated on this exciting program. The Camsauken Food Co-Op is open to members three Saturday mornings a month, (9 a.m.–12 p.m.) and one Friday a month (3 p.m.- 6 p.m.). The Co-Op is led by Touch New Jersey, UrbanPromise, True Covenant Worship Center, and Fresh Start Ministries in partnership with Philabundance and Farmers Against Hunger.